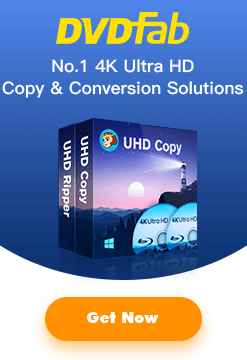 DVDFab Blu-ray Copy, Blu-ray Ripper, Blu-ray to DVD Converter, and Video Converter all have adopted AMD APP acceleration technology so as to gain performance and become faster. AMD APP let your GPU and CPU work together to process video conversion, and more CPU resources are spared for other tasks, and naturally, the processing speed is much faster than before when all work was done by CPU only. How to apply the hardware acceleration while using DVDFab? You can manually toggle AMD APP on the interface of DVDFab if your GPU is capable, just click Common Settings button on the upper right of the main interface, then one the left pane navigate to General — A/V Codec. Now you can see 3 video decoder: H.264, AC1, MPEG2; in the corresponding dropdowns select “ATI Stream” option. OK, AMD APP (ATI Stream) is enabled. I’m wondering why there isnt any sponsorship deal between developers and manufacturers. It would be a good opportunity for friendly ads. or thank you for using XXXX brand, your media encoding is using our technology to go crazy fast. Thank you for your support. As this is the DVDFab official website, we will not add sponsorship or partner sites on our blog, but you can see our partners on our homepage. Call me crazy, but I was talking about having ads in the software! 🙂 but not the traditional ads. I was just wondering how cool it would be, when you launch a conversion process, to know how much your system compares to other. I’m not asking for it, I was just brainstorming about it..
Really a nice idea, we will take this into consideration, thank you very much Luc r.